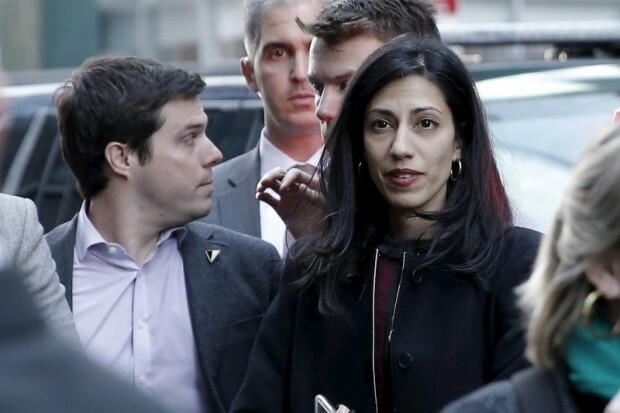 It is unclear if Abedin forwarded Ozkok’s request to Clinton or anyone else in the Obama administration. 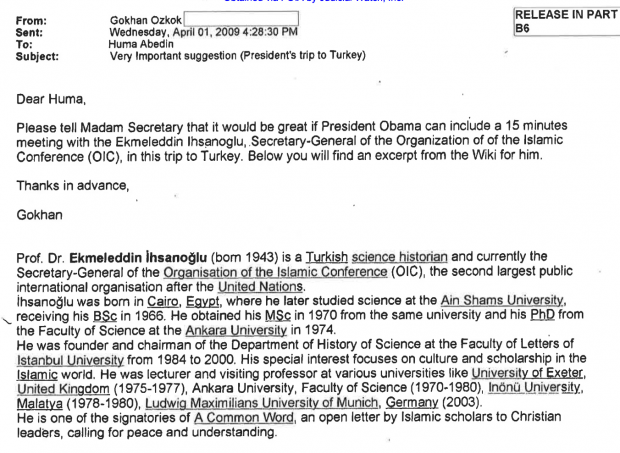 But Ihsanoglu, who is an ally of Gulen’s and lost to Erdogan in the 2014 presidential election, did meet with Obama in Istanbul several days after the email. There, Obama reportedly extended an invitation to Ihsanoglu to visit the White House. 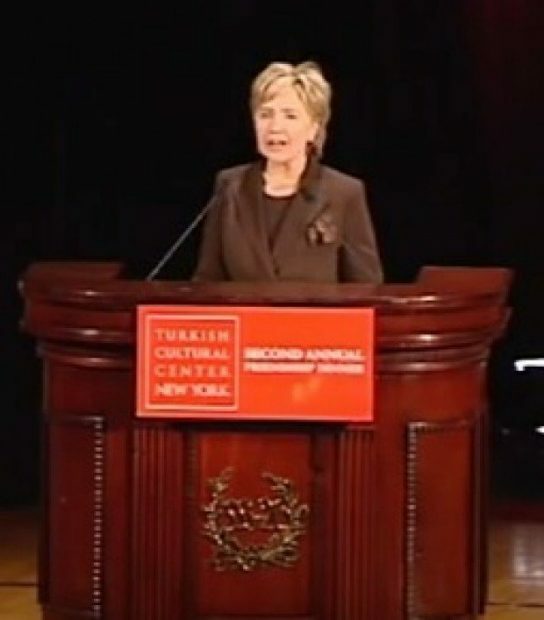 The academic visited in June 2009 and reportedly asked Obama to create a U.S. ambassador to the Muslim world. Some terror watchdog groups flagged the meetings, pointing to Ihsanoglu’s past praise of the terrorist group Hamas and for Sudanese president and U.S. foe Omar al-Bashir. But Ihsanoglu does not appear to be a radical firebrand like so many Islamists in the Middle East.